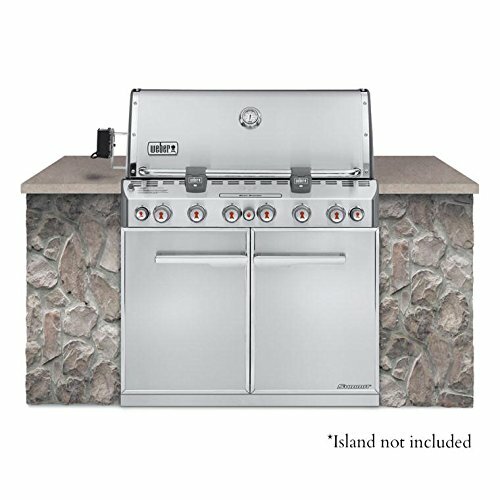 While some of you may be familiar with Lynx Grills (especially grilling lovers), here’s a little information you may not know: Lynx is a premium brand in the grilling industry but the company also makes custom outdoor kitchen products like an outdoor refrigerator, a cocktail station, and an outdoor ice machine. Its motto is “Everything for the Outdoor Kitchen,” and true to its word, it provides all you need for your outdoor kitchen. The company’s headquarters is in Downey, California and their products are made in US. 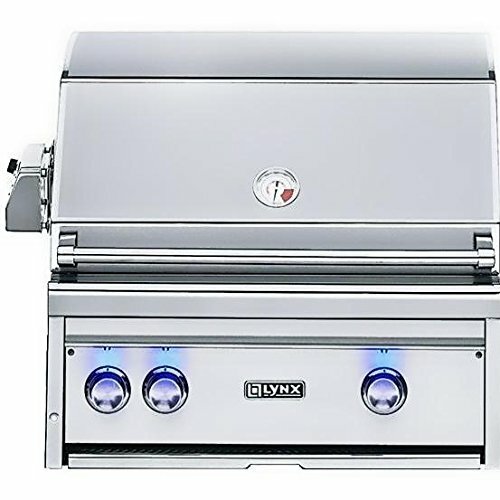 Lynx Grills was launched in 1996 when outdoor cooking meant cooking on barbeque grills. With time, the love for outdoor living grew, and the company expanded to cater to the need for outdoor kitchen equipment. Since its inception, the company has set the standard for innovation, design, and engineering excellence in grills and outdoor kitchen products. It has introduced many new technologies and custom features to ensure grilling enthusiasts have the best grilling experience. In 2015, it launched the groundbreaking SmartGrill by Lynx® , the first voice-activated and Wi-Fi enabled grill in the world, which was very well received by grill lovers. In March 2018, the company launched FlameTrak™, a revolutionary safety system that addresses and eliminates gas grill fires. Using a special censor, it indicates whether a flame’s burner is off and tries to relight it. If it is unable to relight the burner in 13 seconds, it turns the gas off. To date, FlameTrak™ is the only gas grill safety system in the entire world. The first grill to feature this technology is the Lynx All Trident Grill. I could go on and on about Lynx Grills, but I may bore you by the time I’m done. So, let me talk about the best Lynx Grills. After doing an in-depth research, I came up with a list of 5 that stand out from the rest. 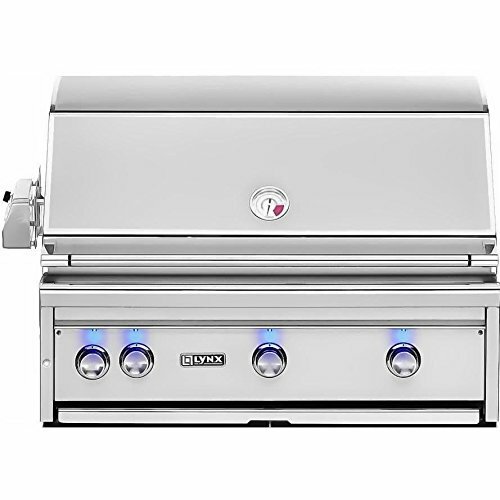 The grill that truly impresses me is the 27-inch Lynx L27PSR-3-NG Built-In Gas Grill. Its powerful Pro Sear infrared burner sears thick meats perfectly (and, boy, do I love seared meat! ), excellent LED lighting makes nighttime grilling lot easier. You’ll enjoy using its two burners that have a heat output of 48,000 BTUs and grilling on its spacious cooking area (which spans 685 square inches). 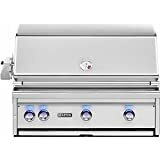 The grill is made with high-quality 304 stainless steel ( so say goodbye to rusting materials ) and doesn’t have gaps or edges where moisture and grease can collect. 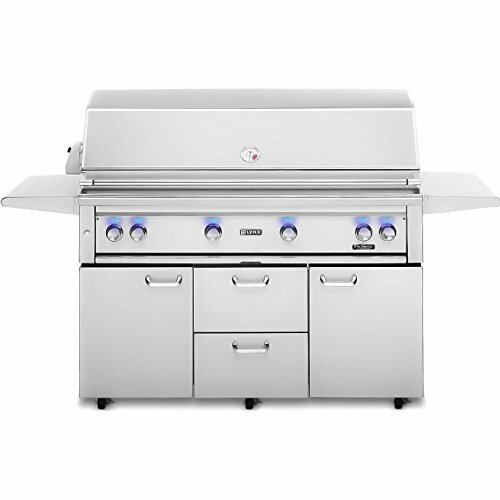 The Sedona L600PS Built-In Gas Grill by Lynx is a trendsetter and will be the focal point of your outdoor kitchen. Its main grilling space is 618 square inches and can hold enough hot dogs and hamburgers for a football team. It has 3 burners which emit 69,000 BTUs. Lynx Grills’ spark ignition system allows you to easily start the grill. The smart features of the SMART30F-LP 30-inch Lynx Smart Grill with Rotisserie will captivate you. It has voice control, 64 GBs of storage, and works with both android and iOS operating systems. Its innovative design allows you to have an unmatched grilling experience. This grill is a must-have for those who love to cook meat on a rotisserie because its rotisserie can hold up to 55 pounds (that’s two turkeys!). 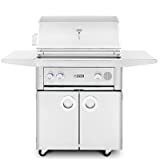 If what you look at in a grill are the BTUs and the cooking space, you won’t be disappointed by the Lynx L54PSFR-2-NG Gas Grill and the Lynx L42PSR-2-LP Propane Gas grill. 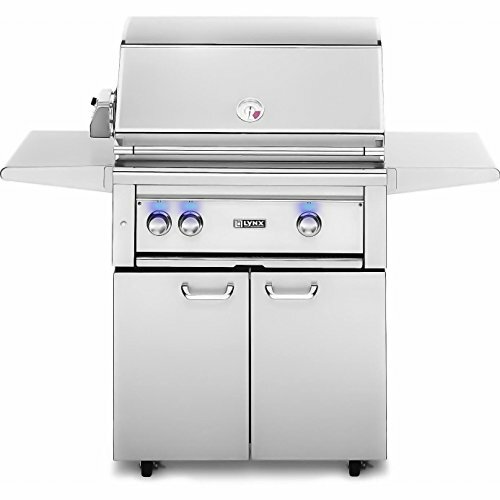 The first one gives off 98,000 BTUs while the latter boasts 1,200 square Inches of grilling space. 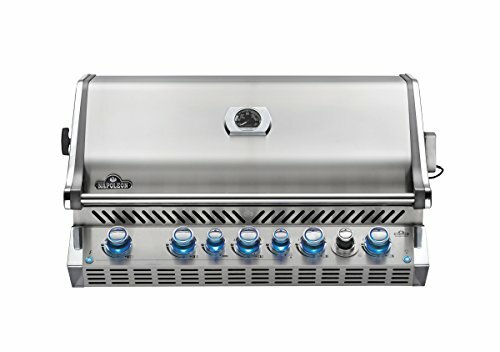 Made of stainless steel, Lynx products have become known as the "world's greatest grills." The Lynx family of products has expanded to keep pace with the outdoor living trend. To help consumers create the luxurious outdoor kitchen of their dreams, Lynx has introduced a line of additional products built for durability and performance - and all with the company's trademark sleek stainless steel look. 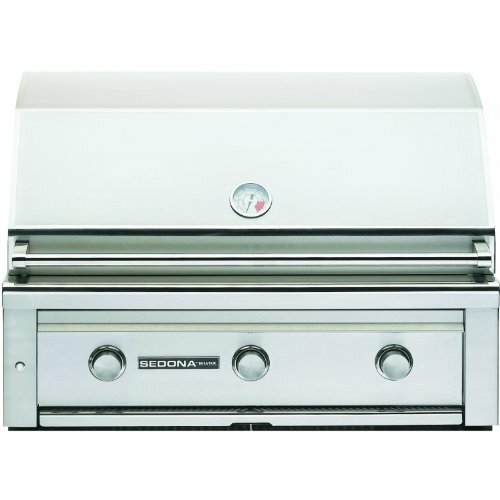 Experience premium performance and extraordinary value in this top quality grill from Sedona by Lynx. 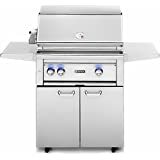 The 36-inch grill has one Pro Sear burner and two stainless steel tube burners with a total of 69,000 BTUs. The Pro Sear burner uses infrared technology to sear meat to perfection or turn the burner on low for delicate seafood. Easily light the grill using the time tested spark ignition system with a battery backup for a reliable start every time. The ceramic briquettes click into place over the burners and distribute heat evenly across the grilling surface. 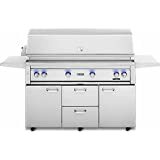 The grill features stainless steel cooking grates with 618 square-Inches of main cooking area and 273 square-Inches of warming area, for a total of 891 square-Inches. 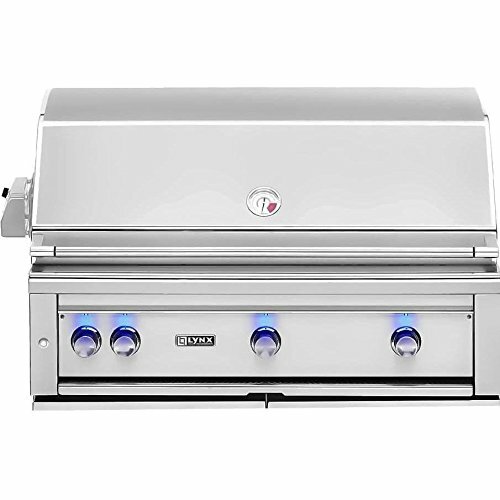 The Lynx L600PS natural gas built-in grill is made of thick gauge 201 stainless steel using continuous welded construction to eliminate gaps where grease and moisture can collect. The fluid rotation handle and hood assist kit help you lift the hood of the grill easily with just a finger. Blue LED control panel lights and internal halogen lights make grilling at night a snap. Bring the power and performance of Lynx innovation to your outdoor grilling with the Sedona by Lynx grill. 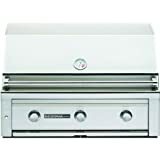 Enjoy unparalleled outdoor cooking performance with the superior craftsmanship and innovative features found in this 27-inch natural gas grill from Lynx. The quality begins outside with gleaming, high-grade 304 stainless steel that has been seamlessly welded to eliminate areas where grease and moisture can collect. A patented design deflects wind and allows the grill to vent properly, stabilizing critical surface temperatures when cooking in windy conditions. Inside, a 23,000 BTU adjustable Lynx Pros ear infrared burner allows you to sear thick-cuts perfectly, or throttle back to cook more delicate items. A 25,000 BTU cast-brass burner features superior heat retention over tube burners so checking progress has minimal impact on cooking performance. The two burners push 48,000 BTUs of total cooking power on the grilling surface. An array of fixed position ceramic briquettes ensures precise, even heat distribution and an advanced ignition system uses a hot element positioned directly above the burner port to ignite the burner quickly and safely. A 470 square-Inch main cooking grid combines with a 215 square-Inch secondary grid for a comprehensive 685 square-Inches of overall cooking area and a large capacity smoker box allows you to add extraordinary flavor to all the things you like to grill. The Lynx L27PSR-3-NG also has a dual-position internal rotisserie with heavy-duty, 3-speed motor and rear infrared burner to raise your cooking options to their full potential. Lynx made sure you have easy access to all these fine cooking features by adding lift assist and a handle that rotates fluidly as you raise and lower the hood. Made of stainless steel Lynx products have become known as the "world's greatest grills." The Lynx family of products has expanded to keep pace with the outdoor living trend. To help consumers create the luxurious outdoor kitchen of their dreams, Lynx has introduced a line of additional products built for durability and performance - and all with the company's trademark sleek stainless steel look. Build the outdoor kitchen of your dreams with the superior craftsmanship and innovative features found in this 30-inch propane gas grill from Lynx. The quality begins outside with gleaming, high-grade, 304 stainless steel that has been seamlessly welded to eliminate areas where grease and moisture can collect. A patented design deflects wind and allows the grill to vent properly, stabilizing critical surface temperatures when cooking in windy conditions. Inside, a 23,000 BTU Lynx Pro Sear adjustable infrared burner allows you to sear thick-cuts perfectly, or throttle back to cook more delicate items while a 25,000 BTU cast-brass burner delivers superior heat retention over tube burners so checking progress has minimal impact on cooking performance. The two burners push 48,000 BTUs of total cooking power on the grilling surface. Over the burner, an array of fixed position ceramic briquettes ensures precise, even heat distribution to the 600 sq. inch main cooking grid while a secondary grid provides an additional 240 square-Inches for a comprehensive 840 square-Inches of overall grilling space. The Lynx L30PSFR-2-LP also has a dual-position internal rotisserie with heavy-duty, 3-speed motor and rear infrared burner to raise your cooking options to their full potential. Lynx made sure you have easy access to all these fine cooking features by adding lift assist and a handle that rotates fluidly as you raise and lower the hood. Made of stainless steel Lynx products have become known as the "world's greatest grills." The Lynx family of products has expanded to keep pace with the outdoor living trend. To help consumers create the luxurious outdoor kitchen of their dreams, Lynx has introduced a line of additional products built for durability and performance - and all with the company's trademark sleek stainless steel look. 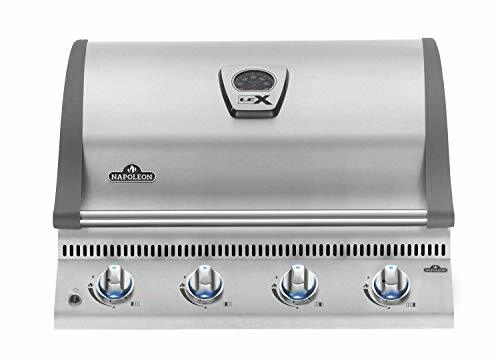 Experience the finest in outdoor grilling performance with the superior craftsmanship and innovative features found in this 36-inch propane gas grill from Lynx. The quality begins outside with gleaming, high-grade, 304 stainless steel that has been seamlessly welded to eliminate areas where grease and moisture can collect. A patented design deflects wind and allows the grill to vent properly, stabilizing critical surface temperatures when cooking in windy conditions. Inside, a 23,000 BTU Lynx Pro Sear adjustable infrared burner allows you to sear thick-cuts perfectly, or throttle back to cook more delicate items while two 25,000 BTU cast-brass burners deliver superior heat retention over tube burners so checking progress has minimal impact on cooking performance. The three burners push 73,000 BTUs of total cooking power on the grilling surface. Over the burner, an array of fixed position ceramic briquettes ensures precise, even heat distribution to the 640 square-Inch main cooking grid while a secondary grid provides an additional 295 square-Inches for a comprehensive 935 square-Inches of overall grilling space. The Lynx L36PSR-2-LP also has a dual-position internal rotisserie with heavy-duty, 3-speed motor and rear infrared burner to raise your cooking options to their full potential. Lynx made sure you have easy access to all these fine cooking features by adding lift assist and a handle that rotates fluidly as you raise and lower the hood. Made of stainless steel Lynx products have become known as the "world's greatest grills." The Lynx family of products has expanded to keep pace with the outdoor living trend. To help consumers create the luxurious outdoor kitchen of their dreams, Lynx has introduced a line of additional products built for durability and performance - and all with the company's trademark sleek stainless steel look. 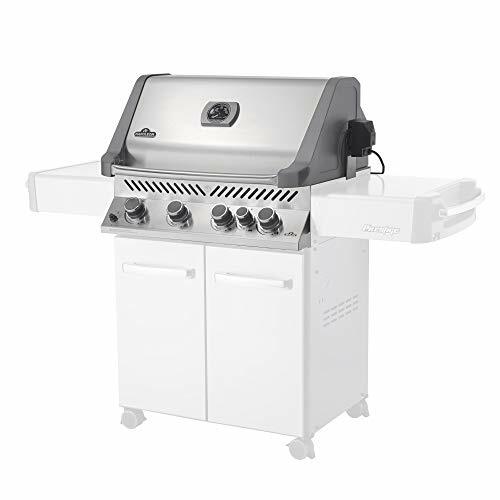 Superior craftsmanship and innovative features deliver everything you would expect and more in this 42-inch propane gas grill from Lynx. The quality begins outside with gleaming, high-grade, 304 stainless steel that has been seamlessly welded to eliminate areas where grease and moisture can collect. A patented design deflects wind and allows the grill to vent properly, stabilizing critical surface temperatures when cooking in windy conditions. Inside, a 23,000 BTU Lynx Pro Sear adjustable infrared burner allows you to sear thick-cuts perfectly, or throttle back to cook more delicate items while two 25,000 BTU cast-brass burners deliver superior heat retention over tube burners so checking progress has minimal impact on cooking performance. The three burners push 73,000 BTUs of total cooking power on the grilling surface. Over the burner, an array of fixed position ceramic briquettes ensures precise, even heat distribution to the 855 square-Inch main cooking grid while a secondary grid provides an additional 345 square-Inches for a comprehensive 1,200 square-Inches of overall grilling space. The Lynx L42PSR-2-LP also has a dual-position internal rotisserie with heavy-duty, 3-speed motor and rear infrared burner to raise your cooking options to their full potential. Lynx made sure you have easy access to all these fine cooking features by adding lift assist and a handle that rotates fluidly as you raise and lower the hood. Made of stainless steel Lynx products have become known as the "world's greatest grills." The Lynx family of products has expanded to keep pace with the outdoor living trend. To help consumers create the luxurious outdoor kitchen of their dreams, Lynx has introduced a line of additional products built for durability and performance - and all with the company's trademark sleek stainless steel look. 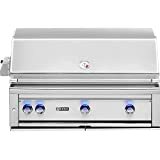 Bring your outdoor grilling to new levels with the superior craftsmanship and innovative features found in this 54-inch natural gas grill from Lynx. The quality begins outside with gleaming, high-grade, 304 stainless steel that has been seamlessly welded to eliminate areas where grease and moisture can collect. A patented design deflects wind and allows the grill to vent properly, stabilizing critical surface temperatures when cooking in windy conditions. Inside, a 23,000 BTU Lynx Pro Sear adjustable infrared burner allows you to sear thick-cuts perfectly, or throttle back to cook more delicate items while three 25,000 BTU cast-brass burners deliver superior heat retention over tube burners so checking progress has minimal impact on cooking performance. The four burners push 98,000 BTUs of total cooking power on the grilling surface. Over the burner, an array of fixed position ceramic briquettes ensures precise, even heat distribution to the 1,110 square-Inch main cooking grid while a secondary grid provides an additional 445 square-Inches for a comprehensive 1,555 square-Inches of overall cooking area. The Lynx L54PSFR-2-NG also has a dual-position internal rotisserie with heavy-duty, 3-speed motor and rear infrared burner to raise your cooking options to their full potential. Lynx made sure you have easy access to all these fine cooking features by adding lift assist and a handle that rotates fluidly as you raise and lower the hood. Our Verdict: The Lynx L600PS Sedona might be the most expensive of all three, but it gives you more bang for your buck. Its three burners deliver the highest BTUs (69,000) and its cooking area is also the largest (891 square inches). 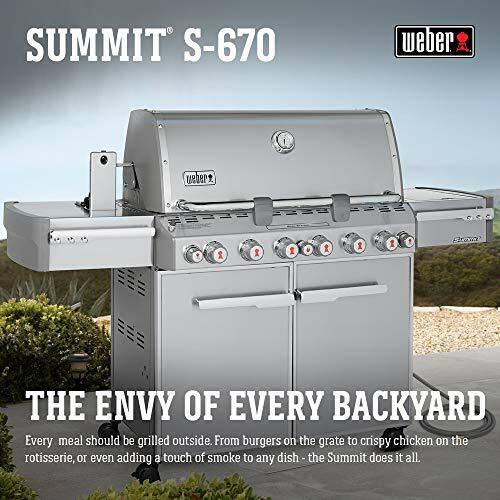 Its outstanding features – halogen grill light, temperature gauge, and spark ignition system – make it a perfect cooking machine for your backyard. The second-best option here is Napoleon’s Prestige 500 which pumps out more BTUs than Weber’s Summit S-470 and also has a bigger grilling surface. The best thing about the Weber grill is that it comes with a 5-year limited warranty. Our Verdict: The clear winner here is the Lynx L36PSR-2-LPbecause it gives off 75,000 BTUs and has a 935-sq. in. grilling surface. 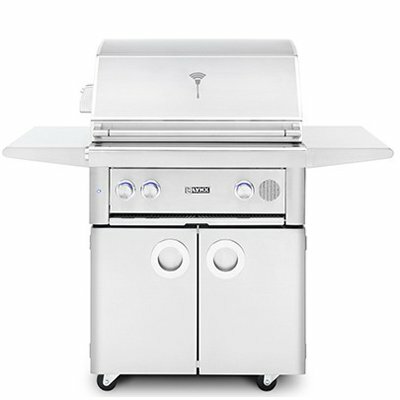 While it costs almost twice as much as the Weber grill, it is the lightest of all 3 grills. 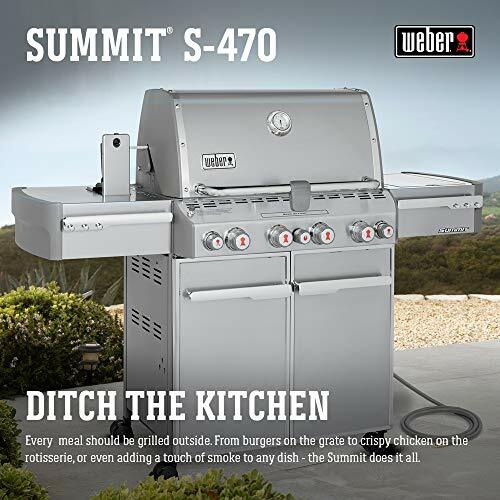 It also boasts awesome features like a rotisserie with a 3-speed motor and a large removable smoker box.TheWeber 7360001 Summit S-660 would have been our top choice, but it only emits 60,000 BTUs and its grilling surface is only 769 square inches. It is also very heavy. The Napoleon Lex 485 comes in last, despite its excellent price, because of its low heat output and small cooking surface. Dimensions: 29.75L x 21.5W x 7.5H in. 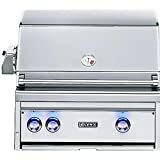 Final thoughts: While both Napoleon and Weber Grills have some superior models it’s tough to compete with smart stylish and durable Lynx grills.